Spain’s Sierra Nevada is the second highest mountain range in Europe after the Alps. It’s highest peak, Mulhacen, rises to 3482m. It has long provided the glistening backdrop to the Alhambra Palace and is snow capped nearly all year round, hence the name. Activities on offer in the mountains include skiing, snowboarding, and trekking alongside some more gentle pursuits in the rolling foothills to the south. 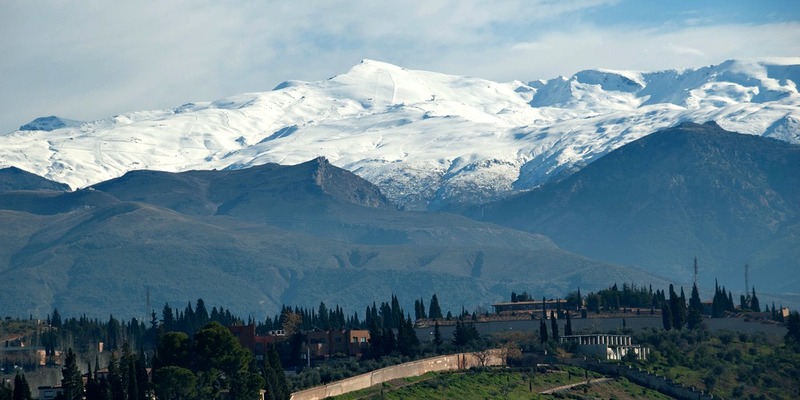 Follow the links for more information on skiing, La Alpujarra and walking in the Sierra Nevada and Granada Province.